Ed Watson is no stranger to the changing needs of aging clients. As a prominent Bay Area attorney and partner at Watson & Machado LLP, he and his law firm help clients with tax and estate planning. As his clients, some who he’s worked with for decades, reach their final years he may step-in to administer their living trusts, conservatorship or other affairs. For fiduciaries and attorneys like Ed, there are times when it becomes apparent that an aging client just isn’t managing their everyday lives the way they once did. Ed says some people may gradually show signs of memory loss or physical decline or he might get a call unexpectedly from a client in the hospital with an illness or after a fall. Ed is in a unique situation to step-in when he notices that a client starts to display worrying financial decision-making, has been the victim of elder abuse, or perhaps forgets about a large financial gift. Ed had been helping Faye and Joe do their taxes and financial planning for nearly 40 years when Joe passed away. By then Faye was already in her eighties and without any close family or friends nearby, she knew she would ultimately need help managing her affairs. She named Ed co-trustee of her living trust so that he could begin handling her legal and financial matters. As time went on, and Faye’s hearing and eyesight began to decline, she called on Ed to help with day-to-day needs such as paying her bills. Ed took over Faye’s finances as requested, but it only briefly eased Faye’s nerves. Without family nearby to take her to the doctor, arrange her appointments, or help with errands Faye felt anxious and overwhelmed. Faye began experiencing frequent shortness of breath and chest pain—frantically calling the paramedics several times in a few short weeks. Eventually, Faye was admitted to the hospital for heart palpitations. After Faye’s hospital stay, Ed helped her relocate from her home to a nearby assisted living community. Though Faye would receive help with personal care in her new facility, Ed knew that he needed to find someone who could help Fay manage her day-to-day life in a way that he as an attorney wasn’t qualified to do. He had heard good things about Seniors At Home’s Care Management Services and Ed made the call. 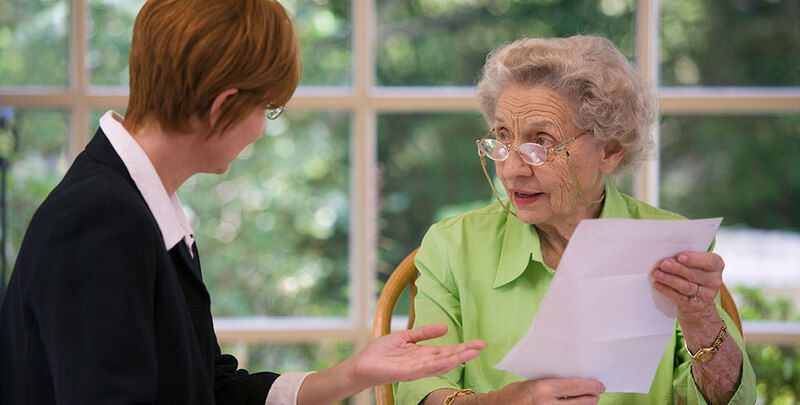 Care managers typically oversee any or all aspects of an older adult’s care; they advocate on a client’s behalf, help solve problems, and communicate with physicians, hospitals, and family members. Ed referred Faye to Seniors At Home hoping that Faye would benefit from this kind of support. Seniors At Home’s Care Management team works throughout the Bay Area and includes gerontologists and social workers who are experts at making sure that nothing falls through the cracks. Care management can be especially helpful for seniors like Faye who do not have family members nearby to oversee the details of day-to-day life, help with errands and appointments, protect them from elder abuse and advocate to ensure they are getting the best care possible, whether in their private home or at a care facility. Faye was matched with Gwen Harris, MA, Care Manager at Seniors At Home. Gwen’s calm, compassionate manner and bright smile was an instant hit with Faye. Gwen immediately stepped in to help monitor her medications, communicate with her doctors, and ensure she was getting everything she needed from her assisted living community. In the absence of relatives, Gwen ensures that Faye’s personal needs—such as clothes, meals, and transportation—are being met. She is someone who Faye can rely on and call in a crisis, and their ongoing relationship provides an added layer of companionship. Ed recently took Faye out to celebrate her 99th birthday, and he sees an incredible improvement since Gwen became part of her life and her care team. Faye is no longer having panic episodes and is now thriving in her new community. “Gwen has been a godsend to her,” he adds. For Ed, he’s reassured that his client is getting what she needs to live comfortably. To learn more about care management or how Seniors At Home can support your clients, call 844-222-3212 or contact us online. « Palliative Care vs. Hospice: What is the Difference?